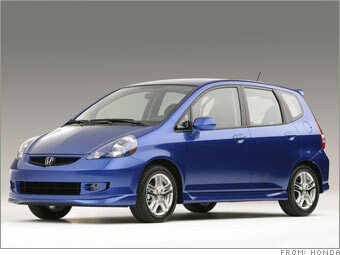 Today's Honda Fit is what the Honda Civic used to be: a straight-up economy model. The Fit is fun and functional, and it gets excellent fuel economy. The back seats fold completely flat to make for lots of cargo space. Even when set up for sitting, though, there's open space under the seatsfor stowing baggage. The Fit's automatic transmission even comes with a steering wheel paddle shifter that allows the driver to quickly intervene and choose gears when needed.